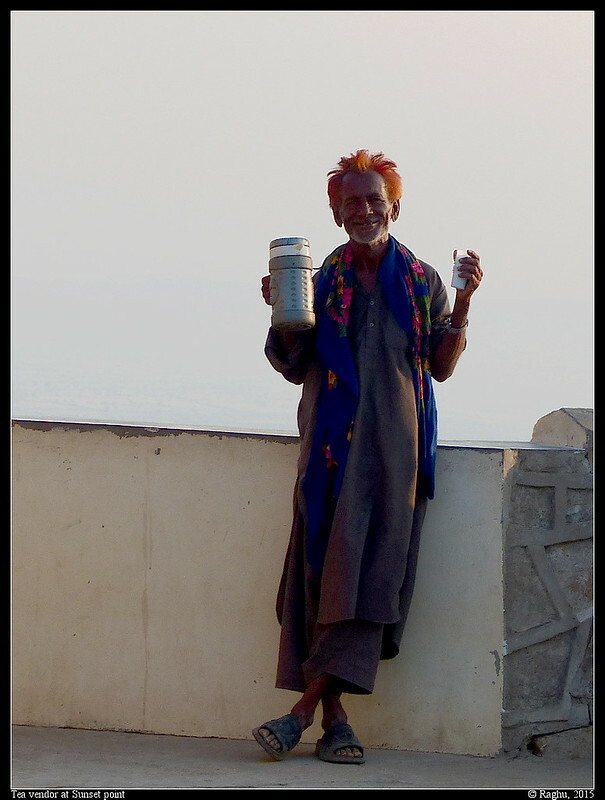 Carrying a flask and disposable cups, this vendor, standing at a cross angle against the setting sun and a bright backdrop, making it difficult to shoot. The location was at the Kala Dhungra sunset point, the highest point in the Kutch region on the border of West Gujarat just a few kilometers to Pakistan. Of course, the original was a little dark, and I had to edit to bring the right colors out. Last edited by Raghu; Dec 5, 2015 at 7:13 AM. Interesting. Did you buy a cup?